Now-a-days facebook is widely used medium to chat with friends. All of us used facebook chat and messenger service in our daily life but very few of them knows all trick which can be done while chatting. It’s best social networking site to stay in touch with your friends, family etc. Obviously, nobody would deny on that. So how we ignore these better Facebook chat secrets to improve your virtual world more! Here we provide some Facebook chat tips & tricks, which would assist you doing great fun with your friends, girlfriend, boyfriend in between chatting. 1. Check who is online while their chat is off : Online Now is such an application which allows you to check who is online being offline on facebook. 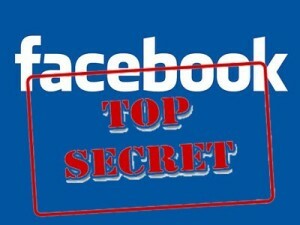 Online people is another alternative to check who is secretly online on fb. We required to use these applications because facebook doesn’t allow to do that. 2. Upside Down Text : Yes! you read it right it is possible to send upside down text to your friends by just using an site upsidedowntext you can also send some other or unique font text by just using this type of websites. 3. Change Color of Text in fb chat : Most of the people searching for this solution to send colorful text to your friends. But now this is possible, facebook recently launched this service to their messenger users. You just need to install an extra addon which comes with the facebook messenger. 4. Get Facebook Chat on Your Desktop : There are some software for computer users by which you can instant message like mobile on your computer screen. Gabtastik, Adium, chitchat, Meebo are some examples of these kind of software. Nimbuzz for computer is also a good option. 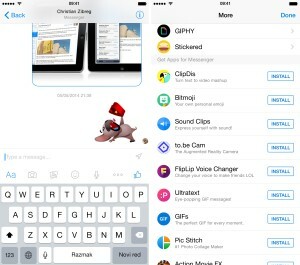 Send GIF Image Instantly from messenger : Gif is an image format which is generally used for moving images. Now their is a direct button on messenger to search and send any .gif image according to your mood and conversation. This feature is also included on facebook desktop chats. Bing Image Search directly from messenger : Now its easy to search any kind of image. Instead of opening browser and search for image now bing image search tool is built in with messenger application. You just need to press image search button. Messenger related apps : Now their is a small icon in bottom right corner above thumbs up in fb messenger which provide links to many messenger supported related apps which you can install directly from that links. Their are many apps like Giphy, GIF keyboard, Quizchat etc. which allows you to send animated colorful texts, self made emoji, facebook emoticons and much more. These are some facebook chat secrets which we share today, ensure your happiness by using these tips. Also check Hindi Guides for such tips in hindi. Don’t forget to share with your friends after impressing them by these tricks on fb group chat. If you have also some secret to share or any suggestion feel free to comment below in the comment zone.